Join us for two worshipping opportunities on Easter! The Easter Sunrise Service at Upper Grandview Drive, (3615 n Grandview Drive) at 6:30am for worship. Bring a lawn chair if you have. Donuts and coffee will be provided. 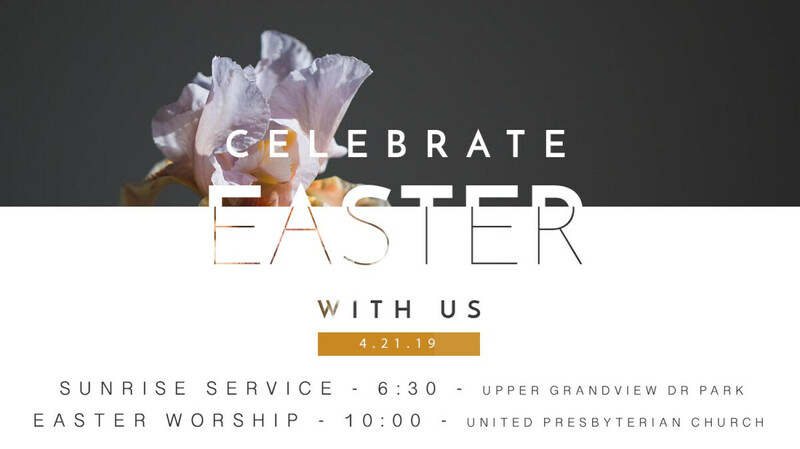 The other worship service will be at 10:00am on the UPC campus and will feature an Easter sermon, Communion, festive music, and meaningful liturgy.